By Charles C. Roberts, Jr. Many dryer related fires are attributed to lint accumulation in the dryer as a result of several causes. Improper maintenance of the lint trap is at the top of the list. Lint from clothing can enter the dryer cavity through improperly installed or damaged lint traps and contact hot surfaces such as electric heating coils orthe flames of a gas operated burner. Damaged drum seals, door seals and other dryer components allow lint into the dryer cavity. Finally, restrictive dryer vents cause reduced air flow and high temperatures in the dryer. 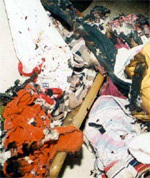 Figure 1 shows a dryer after a typical lint related fire. Figure 2 shows lint deposited at the intake to a gas burner cone. Any lint that becomes dislodged enters the burner, is often ignited and travels through the dryer air-heating system, typically causing a fire when contacting clothing. 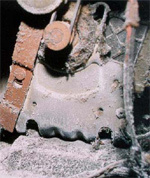 Figure 3 shows lint deposits on the drive motor, a potential fire hazard. 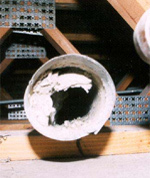 Figure 4 shows severe blockage to the fan shroud and outlet ducting from an improperly installed and maintained lint trap. This level of blockage causes reduced air flow and causes air temperatures to rise, resulting in thermal cycling of safety limit switches in the dryer. Since many of theses switches are not designed to be thermostats, (constantly turning on and off) failure can occur along with hazardous over-heating of the dryer. 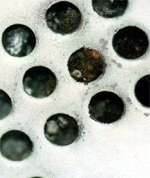 Figure 5 shows prima-facie evidence of a lint problem with most of the vent holes in the dryer drum plugged with lint. 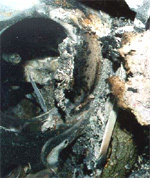 Figure 6 depicts charred clothing from burning lint debris that was ingested into the burner and expelled into the dryer drum. 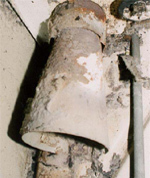 Figure 7 shows a partially plugged dryer exhaust vent duct. The layout of the duct was from the dryer, up into the attic, and then about 20 feet to exit the side of the home. This was a very long metal duct (about 30 feet) which tends to be characterized by low air velocity and accumulation of lint. The air friction loss from such a long duct enhances lint accumulation. Flexible plastic corrugated ducting tends to trap lint easier than the smoother metal ducting. Also heat recovery devices in the exhaust system can be causes of restricted air flow that could result in a fire. 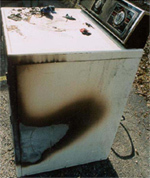 Interviews with the dryer owner may or may not be helpful as to determining the cause of a fire. If the owner states that the dryer was not drying the clothes properly, that could be a clue indicating restricted air flow from blockage. However, lack of diligence in cleaning lint traps and ductwork on a periodic basis is not often admitted to by dryer owners. In addition, cleaning of the burner cavity is not easily performed by dryer owners. or click the button below to fill out our online form.